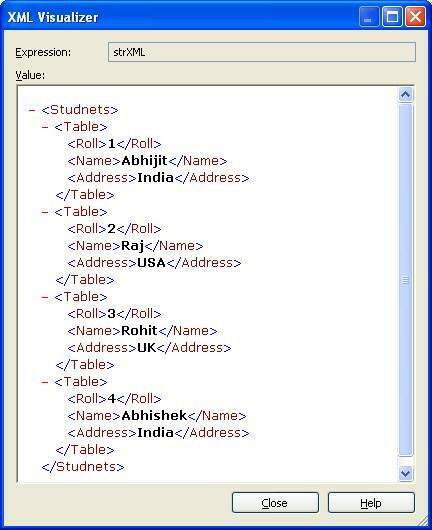 Some times we need to display the XML data in our web application in specific format. XSLT provides the ability to display the XML document in some specific format like HTML, PDF etc. 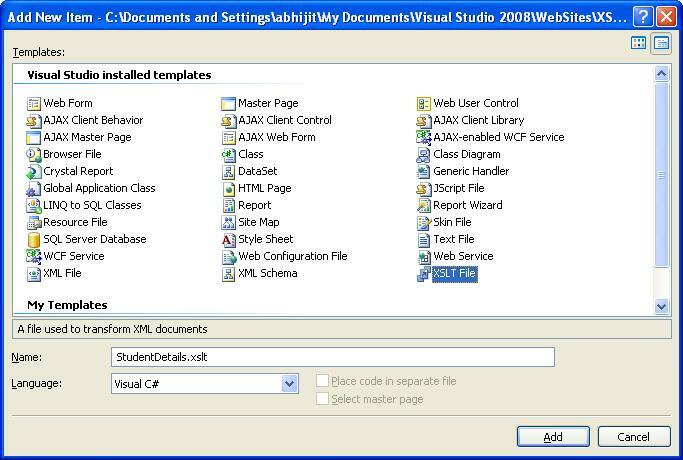 We can select a a XML file or a portion of XML File and using XSL Transformation we can display in some specific format. 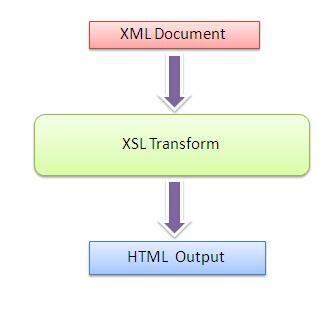 An XSL transformation need an XML document to transform and an XSL style sheet describing how the transformation will take place. An XSLT engine then transforms the XML document via the XSL style sheet and will produce the output in the format specified by the style sheet. Here I am just going to show you how we can display a XML data using XSL in our web page and which will help beginners to start with. This is an sample application. 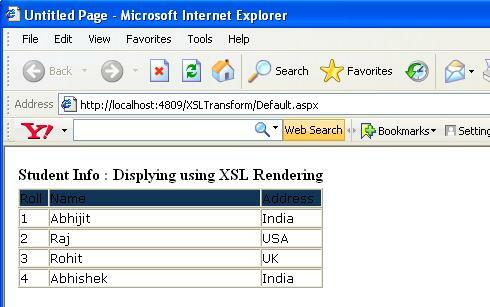 The XSL, which I have used over here is very simple. 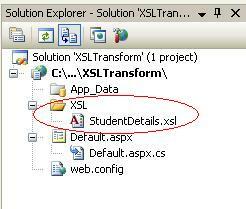 If you want to learn details on XSL please read tutorials from W3School. I have put the xsl file in a specific folder called XSL . Now, Designing XSL is one of the important task, and there are many things that related with XSL . In my case, this is very simple XSL, but if you need to learn in details, I will suggest you to read from W3School. First of all have a look into the XML data which I have got from the dataset. <table width="100%" align="center" cellpadding="0" cellspacing="0" border="1"
Read the data from database and put it into dataset. We can easily get the XML from dataset using. 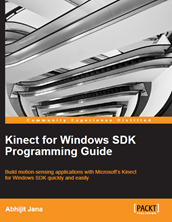 Hope this will help you to move ahead with XSL Transformation. Ahh… After a long time, I have a published an article on Codeproject. 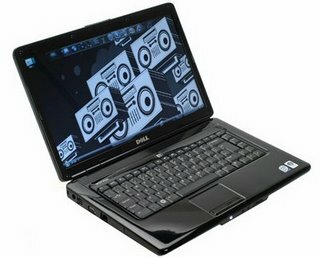 Recently I purchased a Dell Inspiron 1545 Notebook . The design by Dell is quite impressive as it has been released with different colors. I have go for BLUE. My Laptop configuration is 4 GB RAM, 320 GB HDD, C2D Processor and 1.3 MP Camera , OS Vista . Hmm.. along with that, got a Carry Case. I love this …. I have won the first prize for my “Exploring Session in ASP.NET” article in the month of January . Thanks to all for voting. 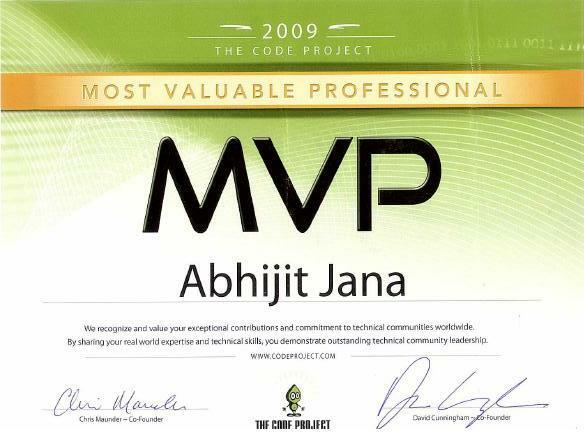 5th Jan 2009, I have received an MVP Award for 2009 from Codeproject.com. And I really fill proud for that I was selected for Codeproject MVP 2009. I have received an MVP Award from codeproject for the articles what ever I have written on codeprject and helps other developers through the forums. In recognition of your outstanding contributions to the community, either through the forums or through articles, you have been awarded CodeProject MVP status for 2009. Your MVP status will be recognized through the MVP icon you will have next to your forum postings as well as a notice in your member profile. Also, as formal recognition of your award status we will be sending out certificates to all our MVPs …….. Thanks you Chirs and Your Team . I would also like to thanks all CP members and specially My Guru (Sacha barber ) , christian Graus and Navaneeth . I have learned a lot from all of them . They all are Rock !!! And Finally , Codeproject You are Rock !! !